Tick things off our handy checklist and get yourself sorted this semester! Download the New Student Guide app. You will find all your key Orientation Week information in here. Plan your trip. There is limited parking on and around campus, so your best bet is public transport, walking, or cycling (we have secure bike sheds). Take a tour. If you miss out on your Faculty Orientation tour, alternative tours will leave from AskAuckland Central during Orientation, or you can watch our video for a look at key sites. Learn about DELNA, a free check of your academic English language skills. Get familiar with pōwhiri protocol before you head to the marae. Sort your Campus Card. If you haven't received yours yet, find out what to do on the website or email the Campus Card team. Hire a locker. If you need somewhere to store your stuff, chances are there will be a locker nearby. See the webpage for more details. Get your AT concession card. Enrol at Health and Counselling. Check out the Sport and Rec Centre. Visit Clubs Expo and discover the great range of clubs, societies and associations. 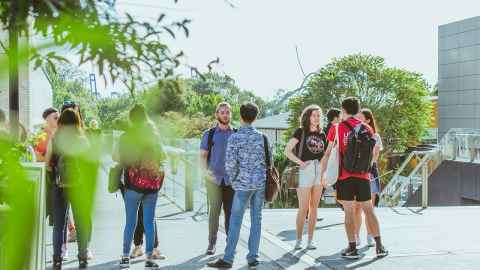 Check out our top ten tips for a great first week on campus. Doctoral candidates - book your induction session. Read up on handling your first lot of results. If you are struggling, seek academic assistance. Explore our wide variety of other support services. Doctoral candidates - update your profile in the University Directory. Doctoral candidates - attend your morning tea.